Planning an event is always a pretty big deal. A Christmas party, a charity event, whatever it may be it is essential that you get yourself organised, there’s a lot to do! 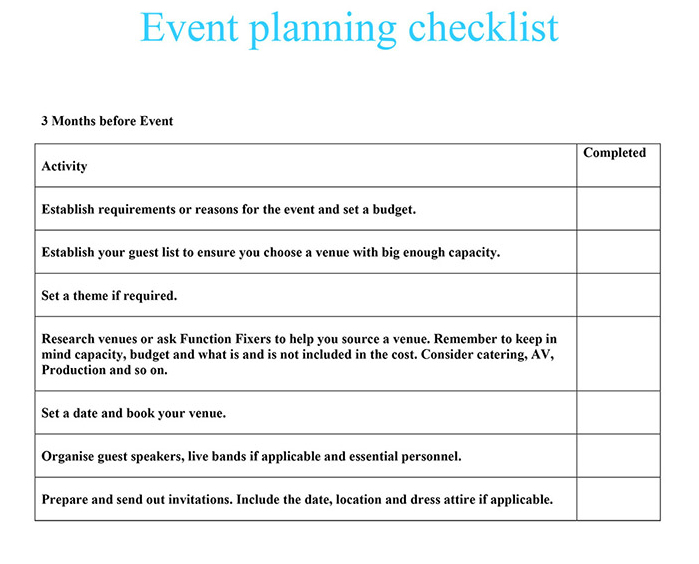 Our checklist has all the essential requirements for event planning success. Our complimentary venue finding service is sure to help with planning one of the most important aspects. 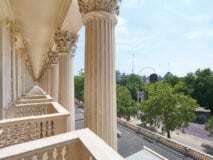 Gather your list of requirements such as capacity and type of venue then give us a call. 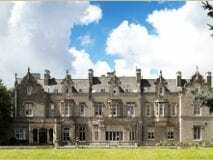 Our expert venue finding team will be delighted to help you. 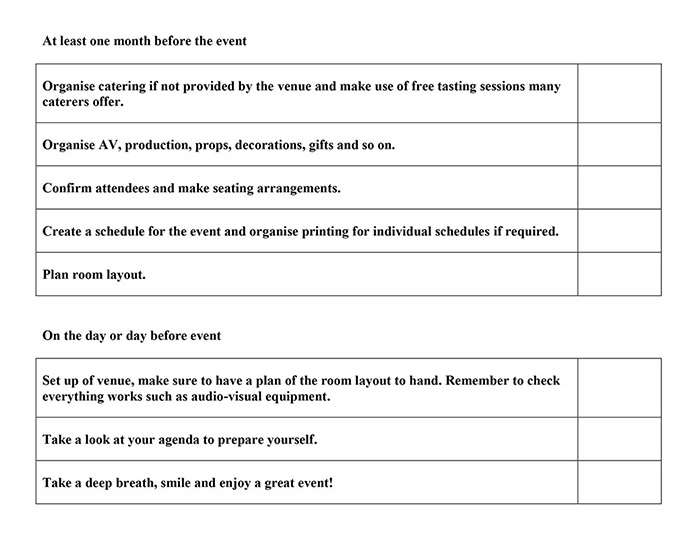 Click here for our printable event planning checklist.